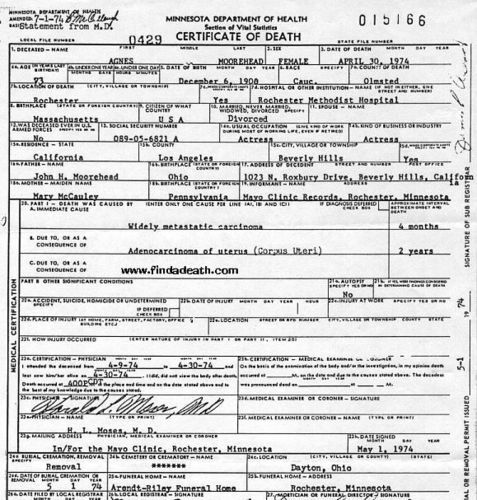 Agnes Moorehead's (Endora) Death Certificate. 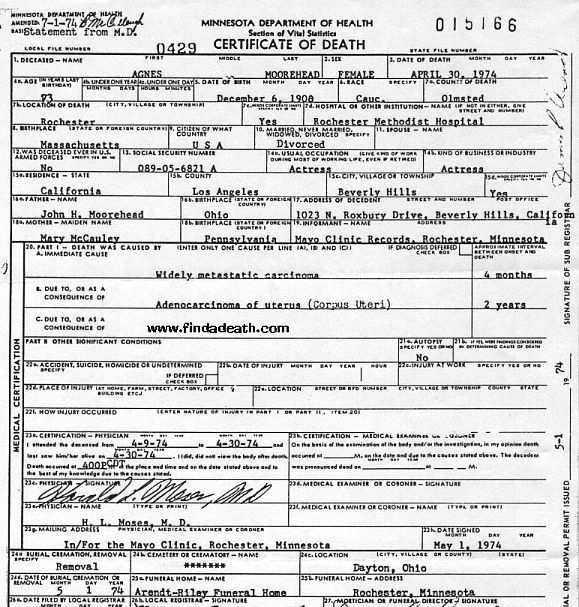 Copy of Agnes Moorehead's, who played Endora, death certificate.. Wallpaper and background images in the Bewitched club tagged: bewitched agnes moorehead endora death certificate photo. These are interesting to see!